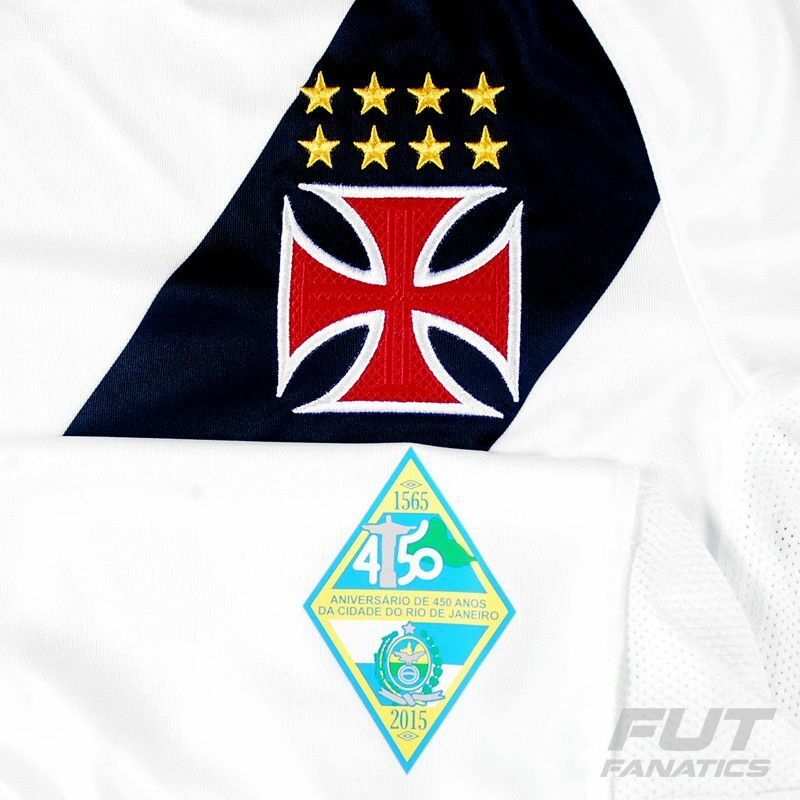 Umbro Vasco Away 2015 jersey celebrates the 450th anniversary of Rio de Janeiro and the 100 years of the soccer club. 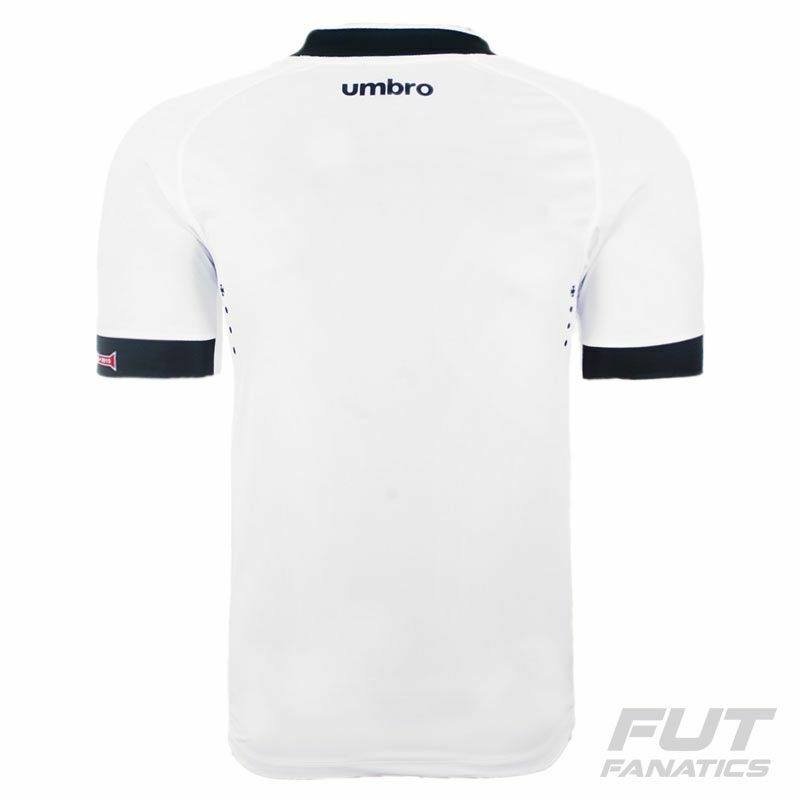 The jersey is predominantly white with black diagonal sash and team badge embroidered on chest. 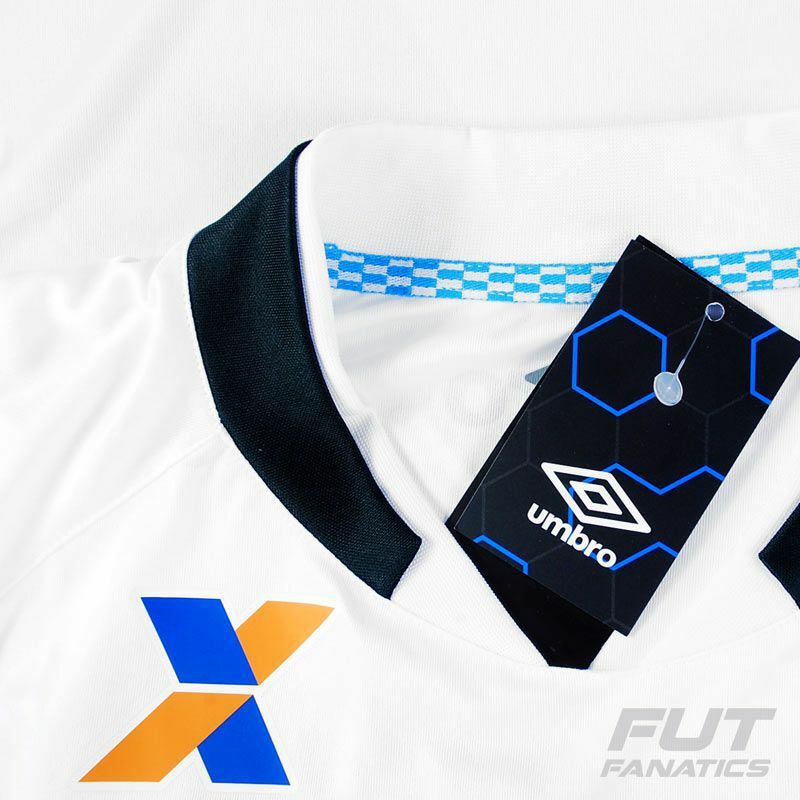 Inside the collar there is a pattern consisting of criss-crossed horizontal and vertical bands in blue and white colours. 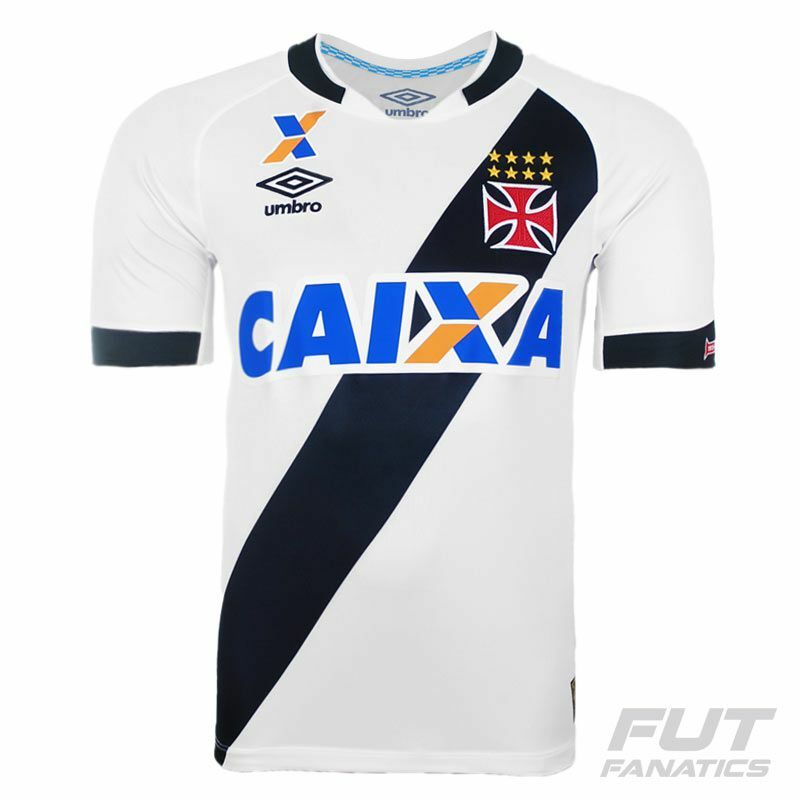 It´s a hommage to the Rio de Janeiro. On tip of left sleeve one stamp celebrates the centenary of the team. The collar is folded down. Strip mesh on laterals take care of ventilation and breathability of body.